As the Bootiful Competition draws to a close we are looking over all our favourite entries but we aren’t the only ones who had our favourites. First, second and third prizes weren’t the only prizes that were up for grabs during the Facebook photo competition, our three esteemed travel bloggers were asked to choose their favourite entries from everyone that entered too. Last Friday we announced our overall prize winners. Considering the calibre of entries that entered into the Bootiful Competition, we are sure that choosing the winners was a difficult task. As if the £1000 worth of Cotswold Vouchers wasn’t reason enough to enter the competition, Headwater also promised some extra special prizes by way of three judges’ prizes. The judges would each choose their favourite entries from all those that entered and reward them for their efforts with a £50 Cotswold Outdoor voucher. Without further ado, we are proud to announce the winners of our special #bootifulcomp judges’ prizes. Abigail King of Inside the Travel Lab chose Peter Allan as her winner. 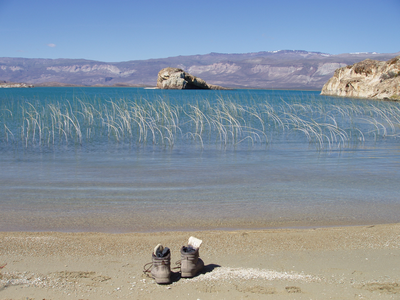 His photograph was taken on a lunch break in Patagonia. Bethany Salvon of Beers and Beans picked Nick Board as her prize winner. 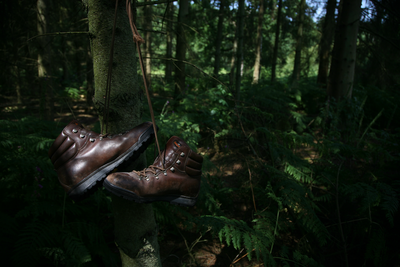 He snapped his boots hanging out at Moor Copse in Berkshire. Kirsten Larsson of Aviators and A Camera chose Chris Mole as her winner. 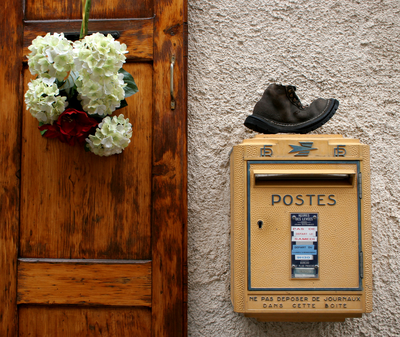 He found an old boot on a post box in the Alps and couldn’t resist taking a photo. Who was your Bootiful Competition winner?